If you have an iPhone but sometimes find by the time you have opened the camera app, then selected the video option and started recording you have already missed the action. A new application might be worth checking out called Capture, which allows you to start video recording with just one-click. 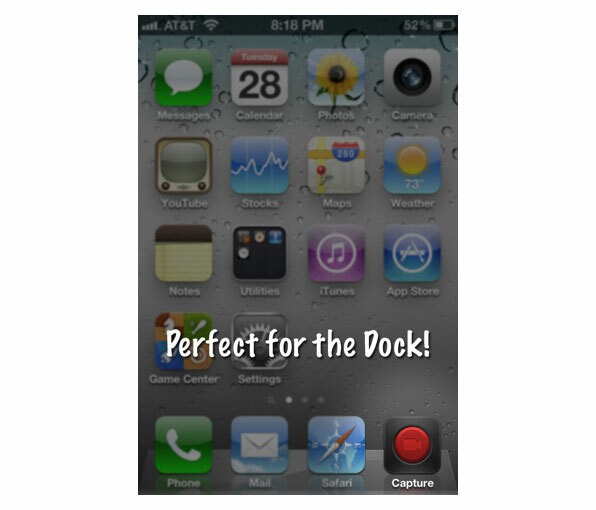 Simply install the Capture application and position the its button in your dock for easy access. As soon as you press it your iPhone will start recording making sure you never miss the money shot. Then once you want to finish recording press the home button on your iPhone and your new video will be saved in your gallery for viewing. The Capture one-click video recorder iPhone application is available to purchase from the Apple iTunes App Store for $1.